O’ Council, where is thy infallibility? This according to the Catholic Encyclopedia’s entry on Infallibility; the 1917 Catholic Encyclopedia that is. So, what does this say about the doctrinal weight of the decrees of the Second Vatican Council, an ecumenical council that met each of the conditions thus mentioned? Absolutely nothing, and it is precisely for this reason that it is so instructive. You see, John XXIII’s idea of employing an ecumenical council, this most profound and solemn expression of the infallible magisterium, when nary a doctrinal crisis beset the Church, for purposes strictly pastoral, deliberately devoid of any intent whatsoever to either define doctrine or condemn error, is in itself a novelty that in a healthier ecclesial age could not but reflect poorly upon his cause. What then is one to make of Pope John’s stewardship of the authority vested in the Petrine Office? Analogies fail, but imagine choosing a battering ram to pass through a door that you claim to have no intention of destroying, and this when the key is right in your pocket. Not only would such a decision be entirely illogical, it would be a violation of the nature of the instrument chosen. The nature of the battering ram is to gain entry by way of destruction; likewise, the nature of the ecumenical council is to teach infallibly by way of ruling, definition and condemnation. Based on John XXIII’s stated purposes, surely he could have employed any number of other readily available instruments that more closely fit the pastoral intent of the Council such as it was proposed. For instance, he could have queried the bishops of the world for suggestions as to what topics might be addressed (as he did), disposed of the bishops’ more traditional concerns (as ultimately took place in the Council sessions), taken up the progressive cause (as did the majority of the Council Fathers moving forward), and simply promulgated an Apostolic Exhortation similar in stature to the one Pope Francis just gifted to the Church. But no; Pope John XXIII, and likewise his successor, chose instead to leverage the force, or better stated, the illusion of the force, of an ecumenical council wherein novelties, ambiguities and outright falsehoods that have absolutely no standing whatsoever within the sacred deposit of Christian doctrine could pose as solemn teaching. This, my friends, was either a well-conceived plot hatched in minds diabolical, or the ignorant machinations of Pontiffs so utterly incompetent as to be truly mad. What it is not is heroic virtue. In any event, what we now have before us in the conciliar decrees is a nearly 200,000 word exposition (in the English translation) wherein authentic Catholic doctrine (the majority of the text) is commingled with propositions that would have been condemned outright less than a decade earlier. Canonize the pope who lit the match to God’s House, fast track the cause of the successor who doused it with gasoline, treat the entire regrettable disaster as if it fell to earth like rain from Heaven, and await the coming of a new springtime. This is so depressing. Sometimes I really feel like I’m nuts because I don’t parade around like almost every other Catholic saying, I love Pope Francis, every word he says is gold and Vatican II is just misunderstood and oh I can’t wait til JPII is canonized. It can really drive a person insane. Linda: Thanks for the link. The silly season is getting sillier by the year. After they reunite with Lutherans, I would suggest they go for the Pentecostals. Can’t wait to see the bishop of Rome speaking in tongues and handling snakes. Demon Pelagius, come ooooooouttttttt! Thanks. Waiting around to see what else Pope Francis can throw at us can be tough at times. Hang on there dear sister in Christ. There are more people with your mindset than you might imagine. Yes, we are a minority within the Church, but how many bishops at Vatican II were courageous enough to oppose the modernists during the council? Actually only a small minority. In fact some of the council documents were voted with only 1-5 votes against! Amazing and deplorable but true. St Thomas More used to think about the protestant revolution that he wasn’t going to go against 1500 years of Church tradition by following the protestant revolutionaries, so likewise we have even more reason not to want to reject 2000 years of church tradition!! lol… It took me a while to figure out what you were trying to say by “b l a n k” but I finally got it : ). Yes indeed, I couldn’t agree more. Vatican II……NO HARM DONE!……O REALLY! You will say: ‘That’s quite right, that’s absolutely true.’ But that is far from the whole truth. The whole truth is much more. The whole truth is: “Ecclesia Dei ‘est’ Ecclesia Catholica’………The Church of God ‘is’ the Catholic Church.” If you say that the Church of God ‘subsists in’ in the Catholic Church, you mean that there are two entities: the Church of God and the Catholic Church, and it is quite by chance that these two entities come together. The Church of God ‘subsists,’ takes its concrete form today, under the present conditions, in the Catholic Church. Perhaps in future times it could be otherwise, and in fact it is possible that the Church of could ‘subsist in’ different religions, nobody having the full truth but only some elements of truth. It is already very clear that there is a relativization of the truth and of the Church it its very essence. St. Paul says that the people will lose the love of truth, and for that reason God will send them spirits of error by which they will be deceived (II Thess. 2:10). This is exactly what is happening in our days. We are seeing, a spiritual punishment from God, a blindness of spirit as well as a hardening of hearts, especially among the prelates of the Church and the leaders of human society. Let us now look at the non-Christian religions, which are considered in the third decree . It is clear that these non-Christian religions have a number of natural truths. For example, to respect older people, to help those who are in misery, to be wise in one’s behavior, prudent in one’s actions, etc. It is also clear that those religions sometimes have elements, however much they may be hidden, which are remnants of the primitive revelation of God to Adam and Eve. Finally, it is clear that sometimes these religions have taken elements from the Catholic Church……..for example Islam, which confesses one, unique God, takes this belief from the Christian religion. But on the other hand, we must say that these non-Christian religions not only do NOT lead to salvation but, very often, are in themselves ‘obstacles’ to finding the truth, systems of resistance to the Holy Ghost. Very often, they have such a hold on their adherents that they hinder them from leaving. Take, for example, a Moslem. It is very difficult to convert him. He is completely hemmed in by his system, by his surroundings, by his clan, by his Islamic state. It is much easier to convert a pagan in the bush. So, these other religions not only do not lead to salvation, but very often are systems by which the father of lies holds souls in error, far away from Jesus Christ. What does the Council say about these other religions? …….that is a definite lie because Hinduism does not recognize a unique God, but many idols. you know that they worship different animals, creatures, all sorts of things, especially holy cows, which must never be slaughtered became to do this would be sacrilegious. They have a great consideration for mice and rats. They consider the rats to be the vehicles of their gods. They believe in reincarnation. People owe a debt during their lifetime and if it is not discharged, they have to clear it in further incarnations in animals. So you do not touch the rat because it might be your grandmother! There is another very serious consequence of this belief. In Hinduism, you find neither mercy nor pity. Why not? Because those who are in misery are clearing their ‘Karma’, their debt, and if they do not clear it in this human existence, they have to clear it afterwards. Therefore if you help them you only delay their redemption; and so in no way do you find Christian charity among the Hindus. The most embarrassing thing you see when you visit India is not that there are people living in poverty and misery, living and dying on the road, but it is to see how the Hindus pass by these poor creatures and are not moved at all by pity at the sight. They find this quite norma., quite reasonable, according to their religion. First of all, it must be said that this is absolutely contrary to our Catholic religion. In our Catholic religion, we confess the absolute necessity of a Redeemer and His grace, and we confess that we cannot, by ourselves, obtain this grace or redeem ourselves. The Council says that Buddhists think they can attain their ‘supreme enlightenment by their own efforts.’ Their whole redemption is by their own efforts. This is absolutely contrary to the Christian faith. Secondly, the ultimate aim of Buddhism is to enter into ‘Nirvana’, i.e., into nothingness, to be dissolved, to be released from everything. It is like an annihilation of the person. That is the ultimate aim of their efforts. The Catholic religion is absolutely the opposite. What is our ultimate aim? To love God and to be transformed by His grace and His charity so that we ourselves, our souls, become love and charity. Our end is finally to enter into the uncreated charity which is God. Our ultimate aim is the fullness of the highest virtue, the highest value you can imagine, that is to say……..Charity; whereas Buddhism’s aim is absolutely the opposite. It is also clear that in Buddhism, as in other Asiatic religions, the principle of non-contradiction is denied. What does this princple mean? It means that a thing cannot exist and not exist at the same time. For instance, either there is a glass or there is no glass on this table, but it is impossible that, at the same time, there be a glass and no glass. The Asiatic religions deny this fundamental principle. Have a look at Japan. There are more adherents of religions in this country than the total population! How is this possible? Well, many people belong to different religions at the same time, and they find this to be quite logical. They belong to this religon and that religion because if one is false, the other might be true.. These Asiatic religions are penetrating an enormous rate into our countries, into Europe and the United States, with their ideas and practices, with all their system, their Hindu gurus, yoga, transcendental meditation, and the idea of reincarnation. All this is being spread in our day, having an enormous influence on private and public life. They are acting especially through the so-called “New Age” movement, which has the raingow for its symbol and is now penetrating everything, everywhere. It is very dangerous because it is a creature of esoterism originating from theosophy in the last century and from anthroposophy in our day. What does the Council say about Islam? What do you think when you read this text? You probably think that there are just some slight differences between us and the Moslems. They do not recognize the divinity of our Lord Jesus Christ, that is true, but that is not a very important thing!!! They venerate Him as a prophet, they give devotion to the Blessed Virgin Mary, they even believe in the last judgment, they give alms, they have a moral life. What they are not saying is that a Moslem can have several wives and that happiness in heaven, for them, is indicated by having many wives. The more wives you have, the happier you will be in heaven. It is also not said in this text that they are fighting against us and consider us as blasphemers and idolaters because we adore our Lord. They reject absolutely the Holy Trinity………all this is not mentione at all. A consequence of such a text is that the German bishops have ordered all the parish priests to let the Moslems use their parish halls and kindergartens for their worship. It follows from this that……..every year Rome itself, the Holy See, gives an address of greeting to the Moslems at the beginning or end of their fasting month, Ramadan, calling the blessing of Allah upon them. Another consequence of this is that a few years ago, the Mayor of Rome gave about two hundred thousand square feet of land as a gift to the Moslems for the construction of an Islamic center there, with its enormous mosque, the biggest mosque outside the Islamic world (it was finished in 1995). For the laying of the corner stone, the Holy See itself sent delegates to assist at such an important ceremony!!! What Islam did not achieve in the 16th and 17th centuries, it is achieving today by peaceful meqans, by the immigration invading all our countries. For example, in England a new mosque is opened every two months. Every two months!!! That is incredible. Imagine if we were to open a new Mass center every two months!!! This immigration of the Pakistanis to England and Scandinavia, of the Turks to Germany, of the Arabs to France is completely destroying our national identity and, furthermore………the whole of Christianity. Why did our ancestors fight against the Turks on October 7, 1571, at the Battle of Lepanto? Why did they fight on September 12, 1683, at the gates of Vienna? Because they realized the full danger at stake, especially the danger to their faith, and so they fought against those who do not recognize the divinity of our Lord, nor the Church, nor the Holy Trinity, and so who do not have the same God. What does the Council say about the Jews? This decree deals with matter in its No. 4. It is a very delicate subject, but let us look at it a little in the light of theology. It is clear that God had chose one people to prepare for the coming of the Messiah and the time having come, this Messiah, prepared for by the prophets, was rejected by His own people………who even crucified Him! It is clear that we, the Christians, are heirs to what the prophets announced and to what our Lord Jesus Christ has brought. WE have the faith of Abraham. He is really our father. WE have the same faith: Abraham believed in the future Redeemer, WE believe in the same Redeemer who has come: THE SAME REDEEMER, THE SAME FAITH. It is also cllear that the Jews of our day………cannot be called our elder brothers in the faith. HOW could the Pope say such a thing when he visited the synagogue in Rome, years ago? There is one other question. Can we say that the Jews are guilty of Deicide? We must say YES, because it is they who asked for our Lord’s death and called for His blood upon their heads and the heads of their children. I want to make it very clear: I do not speak about the Jews as a ‘race’, I speak about the Jews as a ‘religion. SO what about the Jews of our day? WELL, as long as they do not withdraw from this crime, from this action of their ancestors, they are also guilty of it. They must disassociate themselves from it and RECOGNIZE OUR LORD; THEY MUST BE BAPTIZED AND BECOME HIS DISCIPLES. Such a misguided sympathy towards the other religions must necessarily lead to events like ASSISI, where the Pope gathered all the religions together in order to pray for peace in this world………..It will destroy the supernatural order. There is no longer any concern for faith and sanctifying grace, but this is replaced by campaigns against racism, singing for peace in this world, taking care of the environment, developing technology, social progress in different countries, the third world, etc. This spirit of ‘indifferentism’ is penetrating everywhere to the utmost parts, to the smallest villages in the world. When I visited Sri Lank, the island south of India, and the faithful there told me, on my arrival, that the very Sunday before, their parish priest had preached……….. that in the future , there will be one world religion, that what up to this day we have rejected as idols we must in the future adore and worship, and that those who shed their blood for the faith were a little bit insane…………MISERERE! Let us now have a look at the question of religious liberty, the Declaration Dignitatis Humanae. What does Catholic doctrine say about this subject? It says that there is only one God, maker of all things, one Jesus Christ and one Church; and that this Church and this Jesus Christ must be recognized by every creature, each and every individual, and also by the social bodies: families, schools, States, etc. They must recognize our Lord by bringing Him into their constitutions, their laws, and their lives. This means that all countries, especially those with amajority of Catholic citizens, should officially recognize our Lord and His Church as the only religion and put limits to the public fanifestations of other religions. You might object that it is unacceptable and terribly unjust for the State to restrain other religions. I will give you some analogies in the moral sphere. If someone wants to commit suicide, has the State the right to prevent him from doing so? Yes, it has. Has the State the duty to prevent him? Yes. If someone wants to have an abortion has the State the right to prevent her from doing this? Yes. Has it the duty to do this? Yes. Now, these other religions are spreading their errors, harming souls. They are even dissolving, in a certain manner, the social order of the State. So why should the State not have the right and even the duty to put restrictions on these other religions, in prudent manner? This was the case, for example, in the Spanish constitution……..before the Second Vatican Council. In a preliminary paragraph it was stated: “In Spain, the Catholic religion is the religion of the State.” Second paragraph: Nobody in his private life will be in any way embarrassed because of his belief.”………Imagine that. Third paragraph: ” In public life, only the religion of the State has a right to be presented,”……….. This helped a lot to protect the faith of Catholics. This is precisely what the Islamic world is doing in our day……..they are establishing Islamic States, and it is very difficult to live there as Christians. So what they do towards the furtherance of error, why don’t we do for the TRUTH? Our Lord no longer reigns in our parliaments, in our constitutions, in our courts, in our schools, or in the affairs of our governments. He is put on the same level with the other religions in the constitutions and in the life of the social bodies………….this is exactly what the Second Vatican Council has asked and demanded, that no religion should be hindered from spreadint its errors, that every religion is to be treated with equality before the law. That is the question: can anybody be hindered from openly spreading his false religion, his false ideology or can he not? He can and he must be to a certain extend. This ‘unlimited frredom of conscience, of opinion, of the press, and even of choice in moral matters’. This is the reason behind, for example………the whole story of abortion, which has reach to incredible figures now. The people who introduced it argued like this:………no one is forced to have an abortion, the law simply removes some restrictions, and thus freedom is given……….But this is precisely the crime: no law can give anyone the right to have an abortion, to act against the law of God, it can only……..tolerate evil. That is exactly what Pilate did when he made the people ‘choose’ between Barabas and our Lord Jesus Christ. You have ‘the freedom’, whom do you want: Barabas or CHRIST? Abortion or no abortion? A false religion or TRUE religion? Virtue or vice?……….it does not matter!!! ” Today’s spiritual agitation and the changing conditions of life are part of a broader and deper revolution. As a result of the latter, intellectual formation is ever increasingly based on the mathematical and natural sciences and on those dealing with man himself, while in the practical order the technology which stems from these sciences takes on mounting importance. This scientific spirit exerts a new kind of impact on the cultural sphere and on modes of thought. Technology is now transforming the face of earth, and is already trying to master outer space. To a certain extent, the human intellect is also broadening its dominion over time: …….over the past by means of historical knowledge; over the future by the art of projecting and by palnning. Advances in biology, psychology, and the social sciences not only bring men hope of improved self-knowledge. In conjunction with technical methods, they are also helping men to exert direct influence on the life of social groups. At the same time, the human race is giving ever increasing thought to forecasting and regulating its own population growth. So if you acept this, you are free to believe that, b letting things go alittle bit further, every problem will be solved. There will be perfect paradise on this earth. They are now even able ………..to regulate population growth by means of contraception………..this seems at least indicated. So if you do not live with all these things………you can not have a truly Christian spirit. Thus our ancestors, who did not know technology………had no true Christian spirit. Now, what is the ‘Syllabus’? It is a collection of false statements, of erroeneous propositions condemned under the pontificate of Pope Pius IX. So the Roman Pontiff must establish a union between the spirit of our Lord and the spirit of this world!………..that is exactly what happened during the Second Vatican Council, and especially in this decree. It is a ‘marriage’, a sort of reconciliation between ‘the world with its corruption, its unbelief……….and the Catholic religion. Yes, we sing, “Christus vincit, Christus regnat, Christus imperat” and we want our Lord to reign. St. Paul says to the Corinthians………. St. Peter says in the Acts: Non est in alio aliquo salus………..there is no salvation in any other. KEEP THE FAITH – PRAY, be very strong in this confession, in maintaining your faith. One day, the true solution will be to examine the Council teachings, to reject what is against Tradition, to maintain what conforms to the teaching of the Church, and to make clear what is ambiguous. Only in such a way will the Church again find its identity. So let us be very firm in this regard, together under the protection of the Blessed Virgin Mary. LET NONE THIS TRUTH BETRAY………..
…..Fr. Schmidberger was ordained for the Society of Saint Pius X in 1975 and served as its Superior General from 1982-94. This conference by Fr. 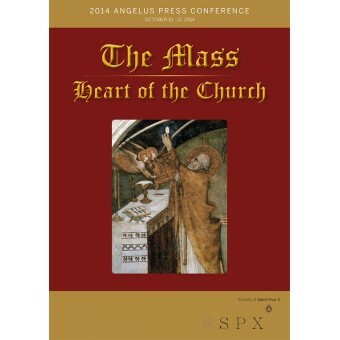 Schmidberger was previously published by ‘Angelus Press’ under the title…….The Catholic Church & Vatican II. Very sorry again, but , it was either ‘all’ or ‘nothing’…….. I know I might get some heat from other commentors for saying this, but the fact of the upcoming “canonizations” of John XXIII “The Good” and JP II “The Great” (in addition to many outrageous/blasphemous statements by Bergoglio such as “there is no catholic God”, “Mary perhaps believed God lied to her” – i.e. Mary perhaps sinned (!!!!) etc etc) is nothing more than irrefutable proof that “pope” Francis is nothing else but an impious imposter. I just don’t buy that canonizations are not solemn acts of the magisterium proclaiming someone is in heaven who has performed heroic acts of virtue and is a model to be followed by the church militant. Prior to V II it was commonly held by theologians that canonizations were an infallible act of the pope, so why should we believe any differently now? Do we want to separate ourselves from church tradition that held this to be the case? What did canonized saints and doctors of the church have to say in this matter? Edu…..please, for clarity and simplicity of the understanding of your concern go to SSPX ‘archives’……. @Edu Precisely what I was about to say. Our tradition teaches us this, and this we have to accept. It is only a Pope or Ordinary Magisterium that can/may correct this sometime in the future. Is there an historical case like this? Well, on a minor level the excommunications against the bishops of the FSSPX is one, but a canonisation? Maybe we live in some dark dark time, but we must resist the temptation to play the pope and issue pronouncements on the Bishop of Rome and his fellow modernists. Yes we must hold true to the faith of all time, and yes we must criticise the errors in all charity. But the BoR was elected pope, he sits on the the most important and holiest throne in the world, and we owe him our love, and above all, our prayers to come back to Tradition. God has protected His church through fallen man – starting with saint Peter – and He will do so again, even if ‘Rome will be destroyed’. It is His design, He is in control. Blessed be God! Blessed be the Holy Roman Catholic Church! The Day of Prayer and Fasting for the country of Syria surely must prove that God is with His vicar on earth. Obama’s drive for war was averted, and, Deo Gratias, in Britain, the House of Commons for once exercised its right to hold the Executive in check and thwarted Cameron’s lapdog desire to follow. Francis played a crucial Geo-political role and Putin held his nerve. Pray for our Holy Father, it is a great act of charity, let’s not rush to condemn him. The Indefectibility of the Church……in saying that the Church is indefectible we assert both her imperishableness, that is, her constant duration to the end of the world, and the essential immutability of her teaching, her constitution and her liturgy. This does NOT exclude the decay of the individual ‘churches and accidental changes. The First Vatican Council says of the Church that she is……”an unconquered stability” and that she “built on a rock, will continue to stand until the end of time”. Pope Leo XIII says in the Encyclical “Satis cognitum”…….”The Church of Christ is one and everlasting” (unica et perpetua). In the battle against false teaching, the Fathers emphasis that the Church always preserved unfalsified the truth handed down by the Apostles, and will preserve it for all time. Infallibility is the impossibility of falling into error. In the final decision ON DOCTRINES concerning faith and moral the CHURCH IS INFALLIBLE…..DE FIDE. The Pope is infallible when he speaks ‘ex cathedra’…..De fide. The Church is “the house of truth”, from which all false teaching is (must) excluded. THE CHURCH FOUNDED BY CHRIST IS CATHOLIC…..De fide……..(do not let nobody say otherwise, even the Bishop of Rome Francis, that…..God is not Catholic)…….Miserere! Proof: In the Messianic prophecies of the Old Covenant, Catholicity is mentioned as a characteristic of the Messianic Kingdom. While the Old Testament Kingdom of God was limited to the People of Israel, the coming Messianic Kingdom was to embrace “all peoples of earth.”……Gn. 12, 3; 18,18; 26,4; 28,14; Ps.2,8; 21,28; 71, 8-11.17; 85,9; Is. 2,2; 11,40; 45,22; 49,6; 55, 4-5; 56, 3-8; 66, 19021; Ez. 17, 22-24; Dn. 2,35; Mal. I, II. Christ willed that His Church should be One Church spanning the world and encompassing all nations. In place of the narrow Jewish particularism. He instituted a world-wide Christian universalism; “And this Gospel of the Kingdom shall be preached in the whole world, for a testimony to all nations; and then shall the consummation come.” (Mt. 24, 14; Luke 24, 47). “Going therefore teach ye all nations” (Mt. 28, 119; Mk. 16, 15). “Ye shall be witnesses unto me in Jerusalem and in all Judea and Samaria and even to the uttermost ends of the earth” (Acts 1,8)……..The Apostles fulfilled the mandate of Christ. …please be assured, this is my last comment……. 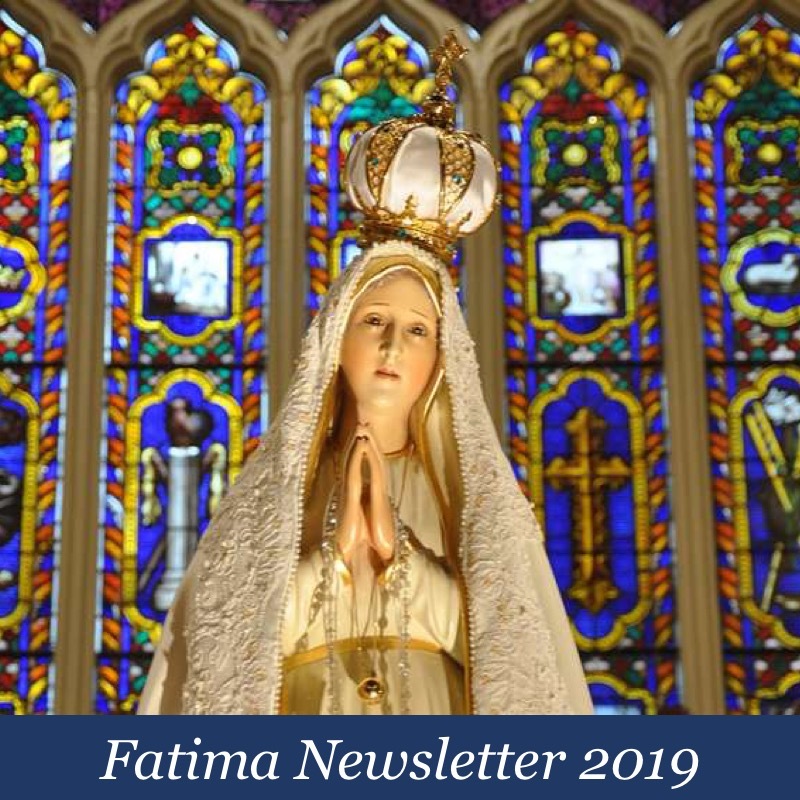 In contrast to the non-fulfillment of papal prophecies concerning the efficacy of Vatican II, the fulfillment of the Fatima prophecies is a matter of historical record. The puzzling, obstinate determination of conciliar popes to completely suppress the Fatima Message — particularly in light of the devastated condition of the Church—-surpasses a merely prudential decision: can it be best explained as a mystery of iniquity? If so, the clearest present indication we have of this ‘mystery of iniquity’ involves papal vision that spawned Vatican II, and continues to operate in its wake. The mystery of iniquity and the papal vision are inter-twined, like a serpent around the tree. It seems that the fallen angel of light has been allowed to tempt a succession of popes with a rapturous illusion that they have spent themselves…….and the Church…….striving for, without being able to grasp. 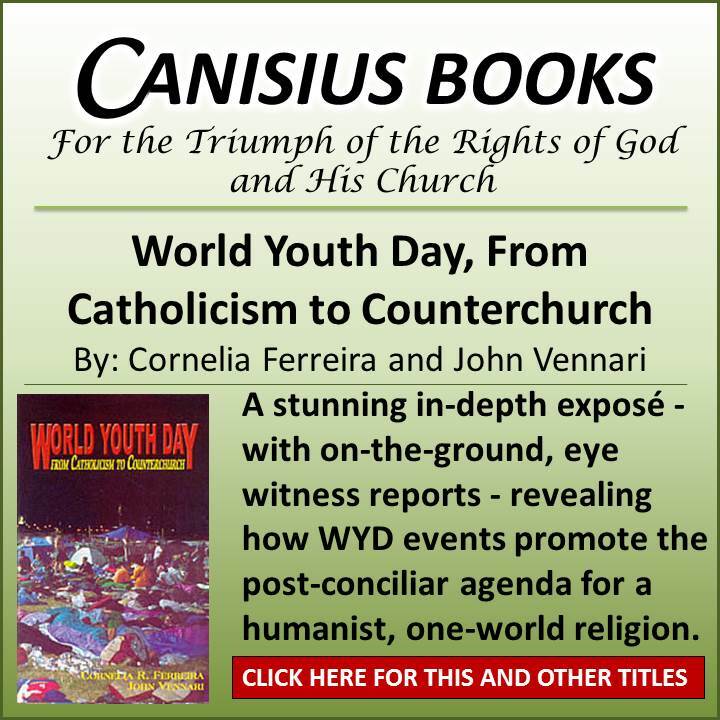 It is a vision so radiant that the conciliar popes appear to have deemed the destruction of the Catholic faith secondary……perhaps even necessary…….to attainment of the consuming vision (this was written in 1998. For a thoroughly documented confirmation that the destruction of the Catholic Faith was, and is deemed essential by leaders of the Church, see Atila Sinke Guimaraes, ‘Animus Delende’…..’I Desire to Destroy’, volume IV of the collection: ‘Eli, Eli, Lamma Sabachani?’). This papal vision appears remarkably similar to the Masonic dream of a universal non-Catholic religion. Pope John XXII saw a 20th Century Pentecost that would united the world in the peaceful bonds of brotherhood and mutual charity. Through the operation of the Second Vatican Council the light of the Holy spirit would descend on mankind and dissolve all religious and political differences that prevented a radical, never before achieved unity among men. Because man would, in John’s vision, spontaneously turn towards God and away from error, the Church need only receive her wayward children with open arms. The days of the admonishing mother were over. 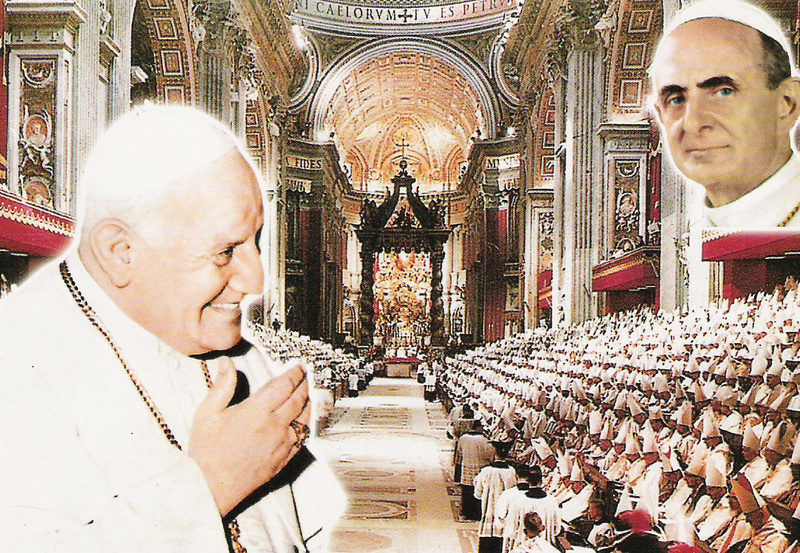 Pope Paul VI’s vision encompassed John’s vision and expanded on it. To further worldwide unity and universal charity, the Church began to accommodate Communists, Protestants, and other children of God who resolutely remained outside the fold of the One True Church. Tolerance was replaced by religious liberty and heresy was ennobled. The dogma that there is no salvation outside the Catholic Church became a scandal and, like a mad aunt, was locked in the cellar. To become the servant of man’s fallen nature, pleasing lies were substituted Catholic truth, since modern man, despite his opinion of himself, still preferred darkness to light. In fidelity to the new object of the Church’s worship, the Eternal Sacrifice was also transformed to embrace the cult of man. A sincere, woefully misguided charity assumed, Heaven would reward the Church with good fruit for her efforts to make the Church comfortable for the world. The eyes of misguided charity made the ‘temporary’ fudging of Church dogma and doctrine appear enlightened rather than deviant. These preliminary concessions are the cornerstones of the papal vision, that has unleashed plagues of tragic, unforeseen consequences on the Church, and therefore the world. The plagues are generative and compound geometrically. The most obvious example is the Novus Ordo Mass, which routinely undergoes scandalous and faith-diminishing revisions. Catholics fancying themselves loyal because they defend these revisions are headed for despair, and worse, because the transformation of the Mass will not be complete for at least another generation. The theology of the Novus Ordo is nominally Catholic, but a day may come when the divorce becomes complete, and Catholic liturgy will become completely alien to Catholic faith. Those left around to recognize this will have to choose yet again between defending the Novus Ordo and defending the salvation of their souls. These transformations, so contrary to faith and tradition, are preparations for the consummation of the papal vision that since 1960 has replaced the Fatima Message. Pope John Paul II’s vision is highly charged synthesis of his predecessors, and the basis for his remarkably optimistic view of the Church and the world. His first public words as Pope, “Be Not Afraid!”, were not an indication that John Paul intended to restore the ravaged post-conciliar Church, but a signal that Pope Wojtyla had inherited the papal vision. The Second Vatican Council was the defining moment of John Paul’s religious life. His self-professed mentors, Yves Congar and Henri de Lubac, were described by Pius XII as being ‘in the ranks of those who deny God.’ John Paul II must have disagreed, since he made them both cardinals without requesting a retraction from either one. The enormously prolific Pope continually harkens back to the Council and Council documents to impress upon his audience the impression the Council left on him. Vatican II confirmed for John Paul II the correctness of his pre-existing mystical vision of Christ, the Church, and the world. He proclaimed his vision in his first papal encyclical and has tirelessly toured the world to make his vision a reality. It is for qualified theologians to debate whether or not the Pope is an adherent of final restoration…….’universal salvation’. This, it is alleged, is ‘code for universal salvation……..the idea that everyone goes to Heaven………(poor Karol, Miserere!…….my emphasis). Considering All of the above…….Will He Find True Apostolic Roman Catholic Faith, at His Second Advent? Our Lady of Częstochowa, ora pro nobis! Canonise Pope John XXIII by all means. He was I believe a very holy man. He was also not very bright, or as they say in my part of the world, he didn’t have much between his ears. Against strong advice he naively called the Council at the wrong time and “opened the doors”. The effect of this was as Fr Thomas Crean OP has said, that Modernism entered the Church like “a great flood of water pouring into a house with devastating effects”. The Modernist heretics seized their chance. But let’s remember that Catholic doctrine was the same before as after the Council. That is the important thing. The Modernist attack was mainly via the liturgy. 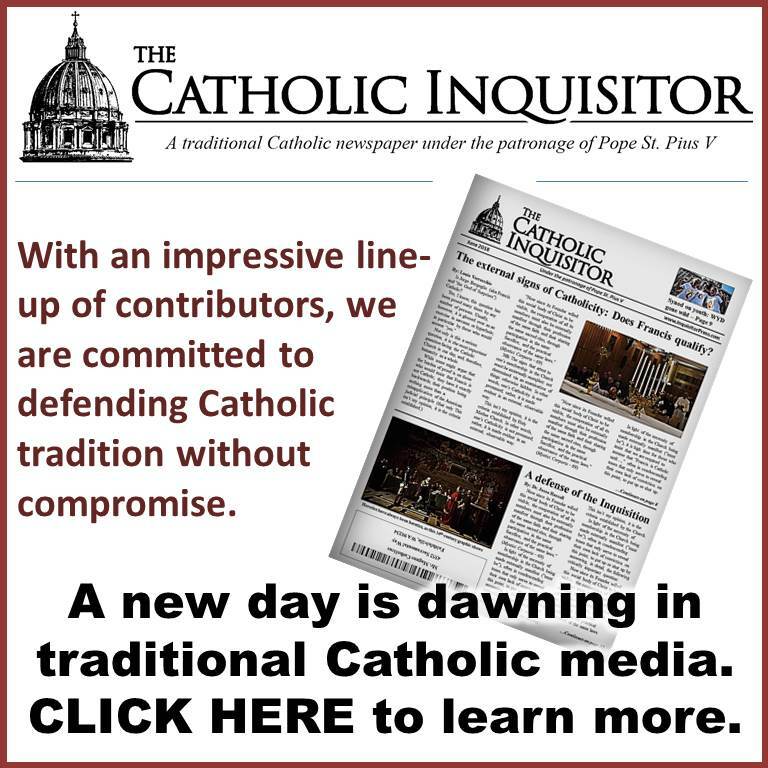 Therefore, we must all do what we can to restore Catholic liturgy either by a Reform of the Reform of the New Mass back to what Sacrosanctum Concilium advised, or better still, by re-establishing the ancient Catholic Mass, the Vetus Ordo, which was not and never could have been abrogated, as the norm. It remains the principle Mass of the Western Church. ## I had to laugh – it’s a lot better than crying ! – when I read that. It is the definition of stark staring raving insanity. It would be a mute but very eloquent rejection of the notion that earlier Sainted Popes are Saints – they cannot be Saints if Paul VI or John XXIII or JP2 is, because the religion of these last three is not the religion of previous Popes. If the one is Catholic, the other is anti-Catholic. These three are “Saints” of heresy and secularism and unbelief – not of Catholicism. If John XXIII were a Saint, he would not have crippled V2 in advance by promising the Russians there would be no condemnation of Communism. That is treachery to make Judas blush – a crime so enormous that canon law contained no penalty for it. Why would it ? What Catholic, in his worst nightmares, could ever dream that a Pope would be guilty of such treachery against the whole Church, against a Council, and against the Faith ? The great miracle worked by Paul VI – one his groupies do not hasten to publicise – is that he showed himself even more treacherous than his horrible predecessor. He is one of the greatest enemies of the Church, the Faith, & the Liturgy who has ever afflicted the Church – to call him a ravening wolf is a colossal understatement. St. Catherine of Siena called the cardinals around Urban VI “incarnate devils” – what she would have called this enemy of the Faith, God knows. “But he issued Humanae Vitae” – yes, he did: so what ? Opposing abortion and contraception is no proof of having the Faith – one can perfectly well be a non-Christian,and oppose both. There is nothing supernatural in resisting practices that are contrary to the Natural Law – as these are. A good pagan could have done as much. He did no more than a pagan faithful to the NL might do. Those who are alleged to be Saints are held to a rather higher standard than that, a super-natural one. But there is nothing supernatural in obeying the Natural Law. So issuing HV, though certainly consistent w/ being a Saint, is no evidence of being one. Even very wicked men sometimes do good – so even a very wicked Pope can sometimes do the right thing. That is no evidence of being a Saint: there is a great pile of evidence that indicates that he was not a Saint – a Saint would not Protestantise the Mass, or undermine the priesthood, or give the Blessed Sacrament to a Protestant, or glorify man rather than God. “Saint” Paul VI did all of these, and more. The question is not whether he was a Saint, but whether he was even a Catholic. I’m going to have to disagree with you Jacobi on Pope John XXIII. I’m afraid he knew exactly what he was doing. The modernist periti would not have been allowed to enter into the Council as busboys let alone experts unless John XXIII wanted it. These were the same people Pope Pius XII was condemning and warning us about in Humani Generis in 1950. Listen to John Venarri’s talk “The Tiber flows into the Tiber” to get a clear look at what lead up to the Council. I have come to accept that this IS the Great Apostasy, and it’s going to get a whole lot worse from here on out. I’m also of the opinion that something big is going to happen to prevent the canonizations this spring. Wishful thinking perhaps. We shall see. But don’t take your eye off the ball folks, the SSPX are the bad guys. Thanks for the article, Louie. it helps to understand how dupitable our betters are. Indeed Pope Francis himself is a disciple of doubt and would that we were as well – I had to decline him on that rather forceful ‘invitation’. So, the Bishops will continue to put out the fire with gasoline while Priests and laity throw upon the ritual flames ‘old’ things like confessionals and bibles and vestments and statues if they’re made of wood. Halina said: ‘The theology of the Novus Ordo is nominally Catholic’, that nominal can extend to the lay ‘elders’ who basically run the Church, the Priest who takes no charge and clocks out after Mass, the lay ‘others’ who are happy in their ignorance and disgruntled when challenged with pesky things like history, Dogma, morality, the sacred that doesn’t include the world, which hands on the Way, the Truth and the Life to us. There are moments when I look around a feel a great pity for how at peace people are with the world and how that peace is a thickening wall between them and the Truth. ‘Catholic liturgy will become completely alien to Catholic faith’ – In the land of the Ordinary-extraordinarily-ordinary Form, Catholic True and Catholic Nominal are already foreigners. ‘Pope John Paul II’s vision is highly charged synthesis of his predecessors’. Synthesis is something the esoterically minded are in-love with. Free-Masonry, according the Fr Paul Kramer (has he gone underground? ), is a part of the Mystery of Iniquity which has physical foundations going back to the days of the first temple, when ‘abominations’ etc. were carried out by some pretty ungodly sons of Israel. Apparently father passed these ‘abominations’ down to son down to our own abominable age. Happily as Halina quoted. ‘The Indefectibility of the Church……in saying that the Church is indefectible we assert both her imperishableness, that is, her constant duration to the end of the world, and the essential immutability of her teaching, her constitution and her liturgy (who can really reject the fact that we need the outposts, watchtowers, etc, like SSPX for this promise to hold). p.s. and here’s why, ‘who-am-I to-judgementalists”? do the work of someone not of Heaven. Edu, thanks for your comments. Just curious though…where is your name from? Spot on. The Third Secret meant to be released in 1960 warns of a huge apostasy in the heart of the church. Mass attendance has plummeted and societies are not only not Catholic but anti-Catholic. Even though Benedict often sat in theological no mans land I felt safe with him but now think we are going to see “cardinal vs cardinal and bishop vs bishop” as foretold at Akita with Papa Pancho at the helm. Anything really seems possible at this point and nothing would surprise. Jonathan Hart said: Even though Benedict often sat in theological no mans land I felt safe with him but now think we are going to see “cardinal vs cardinal and bishop vs bishop” as foretold at Akita with Papa Pancho at the helm. Anything really seems possible at this point and nothing would surprise. I agree. The whole tone has changed. Or is it just the world that’s changed according to the papal tone; but then what’s the difference? p.s. Pope Emeritus is the last active (possibly living) ordained ‘expert’ of VII. While Mr Bergoglio might be a son of VII, Pope Emeritus is one of it’s fathers. To be fair he had some scathing things to say about what happened, but no one listened. If any single act can be deemed as the beginning of the great Apostasy, it surely must be the introduction of St. Joseph into the Canon of the Mass by JXXIII. This single act “transformed” the oldest part of the liturgy (dating back to the Apostolic times) by ending the 1930 year Tradition of only including the Martyrs in the Canon. This was the break with the past that lit the fuse for all the novelties to come under the Council. After this novelty, nothing could be considered sacred thereafter. It was intentional, it was done for no “apparent” reason, it broke up the “constancy” of the liturgy (and the Faith by extension), and its consequences are felt to this day. This singe act, in my humble opinion is the beginning of the NO religion. dear S. Armaticus–you make a most crucial point, most crucial indeed. an opportunity to “—react to this devotional barbarism—” of the current Pontiff. It’s Sunday, so it must be time for the Armaticus Sunday rant. Here goes folks. While reading this post, I recalled another funeral which took place in the diocese of Rome a couple months ago. It was the funeral of one Erich Priebke, who by all accounts was a repentant who made his last confession and his peace with his Maker before his departure from this life. The below is a part of the the post from Fr. Blake’s blog. To make things real simple, what we have here is a situation where “Pope Francis’ Vicar for Rome, Cardinal Agostino Vallini, had forbidden every priest in the diocese to offer a Requiem for him.” i.e. the repentant sinner, however in the case of the unrepentant sinner, the “Church of Francis” give the deceased a “prominent Church funeral in the full glare of publicity, in the presence of civil dignitaries and in the main church of the Order to which the reigning Pope belongs…”. Dear Mr. V. In 1948, both Cardinal Ruffini and Ottaviani identified several doctrinal points requiring clarification and they also identified a heap of errors – and they did that during the reign of Pope Pius XII and they requested he call a Council but owing to differing opinions re the Council he set aside the idea. This has been routinely documented in many places, perhaps the most recent in Prof Mattei’s, “The Second Vatican Council, an untold story,” (pages 95-97). hey, I am not Sparticus. Blessed Christmastide to you. Dear Saluto. I don’t read Fr Blake so I am unfamiliar with him. Is he in full Communion with his Local Bishop and The Pope? Another great post! I concur that in a time that has no critical heresy to address, a 200,000 word council document seems odd. This is one reason I am a bigger fan of Vatican-I. This council produced a much smaller document and issued doctrine – on infallibility no less. The brevity in the Vatican-I document is a great example for us. You can read the whole document in one sitting. Dear Saluto. Thanks for the link. I really appreciate a faithful Priest who both maintains the Binds of Unity and works for Tradition within the Church. That is the sole orthodox option during this time of testing. Think of all of the brilliant and faithful Catholics who have done just that this past one-half century; Amerio, Mattei, Gherardhini etc etc. I would just add, with a lot of help from the SSPX. I think we all need to be cognizant of why the Indult masses were allowed in the first place. Yes? In the mean time, please keep the Franciscans of the Immaculate in your prayers. Dear S. Armaticus.. The SSPX repudiates Infallible Catholic Tradition and it is a schism and so it can not produce any good works. The SSPX publicly counsels its adherents to break a Commandment if they can only get to the normative mass or the Indult. Maybe it is just me but I think that counseling a christian to break a Commandment due to some inflexible ideology is itself a mortal sin; but, that is the malign ideology of that petit ecclesia many think is the real church. Not that I’m keeping score mind you, but…. The SSPX produced the Indult Mass, the Ecclesia Dei Commission, the FFI and is to a large extent responsible for the Summorum Pontificum and the TLM spreading like wild fire inside the conciliar Church, especially among the young Faithful. I would call all those GOOD WORKS. Actually, I would call all those VERY GOOD WORKS. Now I also understand that the above might not be classified as good works by a modernist. But the ’60 generation will pass on eventually, but the Bride of Christ will live to the end of time. And we all have to deal with that. The fact is the SSPX claims credit when it is not due and it has a long documented history of lying. My understanding of this is that this Council was to pick up where Vatican I left of in 1870. That Council was interrupted but the capture or Rome during the Franco Prussian war. The intention of Good Pope John was to bring the immutable Truths of the Faith in a new Way to the modern world. He said through his own personal secretary that it was to be a Council in Continuity with all previous Councils going back to The Nicene. Does not sound like Modernism to me. Read Pope John’s Journey of a Soul and see if he is not a legitimate Pope. Ditto for Venerable Pope Paul VI. Paul did not see a new Church either. I am tired of hearing from all of you SOURPUSSES. Excuse us “sourpusses” for not enjoying this new springtime in the Church as much as you obviously do. I don’t “owe” this heretical Pope my love. I am commanded to love Him b/c my King asks me…and I love Him more than all:+) God bless you Louie! With the failure of discussions, what is the position of the Lefebvrians? But, of course, the sspx schism, like all other schisms, can not be expected to confess they are schismatic. No, like all other schisms have done throughout time, they claim that they are orthodox whereas the Church Jesus established has become corrupt and riven with heresy which is just another way of confessing that for those in the schism the gates of Hell have prevailed against the Church and, thus, they are in support of the proposition that all of the promises made by Jesus vis a vis His Church failed which is just another way of saying that Jesus is too weak to keep His Church from falling into heresy which has as its subtext that Jesus is Satan for only Satan have pulled off such a demonic ruse – to establish a Church that would eventually fail and lead hundreds of millions of christians to Hell. Either the promises of Jesus Christ about His Church are worthy of trust or they are not. Those in the sspx schism do not trust Jesus and His promises. Dear MMC Accusing of heresy he who wields legitimate authority is a rather jejune approach to try ans escape the duty of obedience for it is undeniable that if the current Prefect of the CDF said the sspx was not in schism, you’d constantly trumpet that while ignoring his putative heresy. Said otherwise, you will accept authority only when it is in accord with your own will – the same situation the sspx is in. For the sspx schism and those who succor it, it is the sspx which is the legitimate authority. So what if it is a petit ecclesia which dissolves marriages and vows and exercises criminal and sacrilegious sacraments and excommunicates priests who defy the authority of Fellay? The SSPX is the true church. Dear MMC. Bishop Emeritus Ratzinger used the language of diplomacy and love in trying to woo back the schismatics but in lifting the excommunications he also taught that they were not in full union and that they had no canonical status. Now, after it has become clearer that the sspx will not accept full communion, the Prefect of the CDF is merely speaking the truth. By their actions, the sspx is telling the world that The Catholic Church has failed and the gates of Hell have triumphed and so the sspx is the new church preserving Tradition and it will not enter in communion with Rome because it is riven with heresy and its highest offices are held by the impure. I know there are many who loved the smell of freshly-baked Donatism in the morning but I am not one of them. I find it off-putting. “Am I helping the executioners of the Ratzingerians? Might help distinguish the forest from the trees, yes? God be with you, S. Armaticus. Forewarned is forearmed. 161. What are the chief attributes of the Catholic Church? The chief attributes of the Catholic Church are authority, infallibility, and indefectibility. They are called attributes because they are qualities perfecting the nature of the Church. 162. 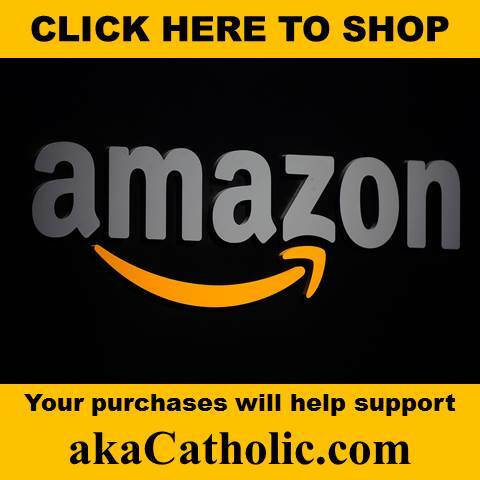 What is meant by the authority of the Catholic Church? By the authority of the Catholic Church is meant that the Pope and the bishops, as the lawful successors of the apostles, have power from Christ Himself to teach, to sanctify, and to govern the faithful in spiritual matters. 163. What is meant by the infallibility of the Catholic Church? By the infallibility of the Catholic Church is meant that the Church, by the special assistance of the Holy Ghost, cannot err when it teaches or believes a doctrine of faith or morals. 164. When does the Church teach infallibly? The Church teaches infallibly when it defines, through the Pope alone, as the teacher of all Christians, or through the Pope and the bishops, a doctrine of faith or morals to be held by all the faithful. 165. What is meant by the indefectibility of the Catholic Church? By the indefectibility of the Catholic Church is meant that the Church, as Christ founded it, will last until the end of time. When will the SSPX find the time to rewrite the Baltimore Catechism so it reflects the Doctrine of their schism for neither its progenitor nor Bishop Fellay thinks the Church is indefectible whereas both think Jesus has abandoned it; and the SSPX teaches Vatican Two taught error; and the SSPX teaches that one does not have to obey the legitimate, lawful Church authorities in the Church for to do that would be to materially cooperate with heresy and they also fear becoming infected by the cancer in the Church – (so what if they don’t understand that one can not catch cancer?) – and so they will not suffer communion with those impure men. The SSPX has a lot of rewriting of Tradition to accomplish before they can get those with open eyes to throw-in with them. Dear MMC. Easy Peasy. There is One Faith and One Baptism, right? Are the protestants in partial communion with the Church? Yes. Dear MMC I used to be among those who described V2 as a rupture but as the great Thomist in Rome, Msgr Brunero Gherardhini, observed that to describe an ecumenical council as a rupture is to be on the other side of the sedevacantist coin for both the sede and the rupturist deny the Church. A question for you, MMC; Mons Lefebvre died excommunicated, that is EENS. So, is he in Hell? You’re against them, then you’re for them, then you’re against them.